The Truckee-Carson Irrigation District is a political subdivision of the sate of Nevada, organized and chartered in 1918 to work with the U.S. Reclamation Service (now the Bureau of Reclamation within the U. S. Department of Interior) to eventually assume the operation and maintenance of the Truckee Carson Project (now the Newlands Project) in 1927. Since, the district has been responsible for the operation and maintenance of the entire federal project, which includes the dam at Lake Tahoe, Derby Dam, the Truckee Canal, Lahontan Dam and approximately 380 miles of canals and 345 miles of drains. The Newlands Project is generally the last priority for diversion of water from the Truckee River. Lahontan Dam is, for the most part, the last priority on the Carson River. In addition, the district owns the storage at Donner Lake, which is used to supplement the water supply for the project’s water users. Visit tcid.org/about/our-history to learn more. 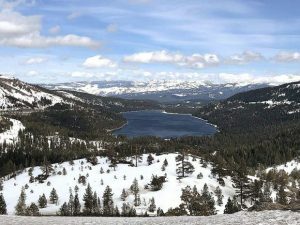 FALLON, Nev. — The Truckee-Carson Irrigation District’s board of directors approved on Wednesday a sale agreement of Donner Lake assets dependent on a special election among the valley’s water users. Two meetings will take place on Dec. 28 at the Fernley City Hall and Dec. 29 at the Churchill County Administration’s county commission chambers. Both meetings start at 6 p.m.
A special election for registered electors of the district is set for Jan. 4. At an October special meeting to discuss the possible sale of water rights and the Donner Dam, TCID District Manager Rusty Jardine said the sale would satisfy existing legal claims including compensation to Fernley property owners whose property was damaged by floodwaters in January 2008. Originally, Jardine said the district and other agencies and individuals faced $1 billion in tort claims, but to date, they have settled for $13.4 million. Jardine said he strongly feels TCID will be able to settle for $18.5 million. Jardine said TCID is pursuing relief in the California Court of Appeals relating to its Donner Lake assets. Jardine said the district bought its water interests in Donner Lake in 1943 for about $50,000, but the Truckee Meadows Water Authority is expected to buy water storage rights and dam facilities from TCID for $17.4 million. Since an appraisal was taken about one year ago, Jardine said the value has remained the same. Furthermore, Jardine reiterated Wednesday that an approved sale by the water electors would also result in the lifting of a court imposed restriction of water flow in the Truckee Canal of 350 cubic feet per second (cfs). Jardine said it is important to restore a higher flow in the canal to the Lahontan Valley’s ranchers and farmers. Jardine can feel the end is almost here for resolving the litigation. 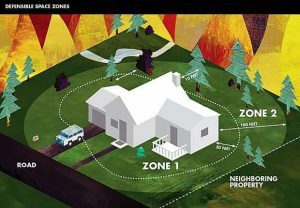 “Our intent is that this will provide a resolution to all claims (against TCID),” Jardine added. If a resolution goes as expected, Jardine said TCID will operate as though a cloud was removed and business will return as usual. “We will concentrate on improving operations and maintenance of the project,” he said. Ernie Schank, president of the TCID board of directors, said what was probably on every director’s mind. Board member Eric Olsen said the entire process has been frustrating. Olsen said because of recent and previous court cases — some made before he was born — TCID was viewed negatively.